Hanwha Group unveiled a plan Sunday to invest 22 trillion won ($19 billion) over the next five years in new growth sectors, like solar energy, and create 35,000 jobs. The country’s eighth-largest conglomerate by assets said the plan is the company’s largest long-term investment, with the aim of responding to the rapidly changing business landscape and to secure new business growth momentum. According to the company, about 4.4 trillion won will be invested each year, an about 37 percent increase from an average of 3.2 trillion won over the past three years. By sector, the group will invest 4 trillion won in the aircraft parts and defense industry, focusing on export opportunities. About 5 trillion won will be used to develop the petrochemical industry, while 4 trillion won will be invested in the service sector, such as building multiplex shopping malls and resort hotels to create more jobs. 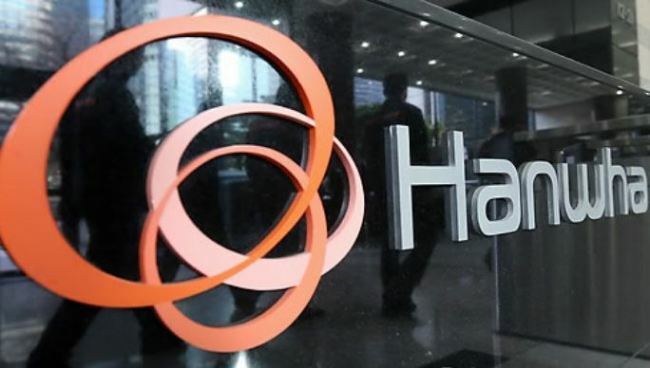 The group also vowed to focus its investment in the solar energy sector, to cement its flagship company Hanwha Q Cells’ position as a leading total solar power solution provider with the world’s largest cell production capacity. The investment is in line with the Moon Jae-in administration’s 3020 Policy aimed at producing 20 percent of the country’s electricity from renewables by 2030, the group added. Through the investment plan, the group expects to see its sales increase to 100 trillion won by 2023, an about 42 percent rise from the current 70 trillion won.